Whats the name of that plant or flower? Need help keeping your plants alive? Don’t have a garden but have indoor plants? 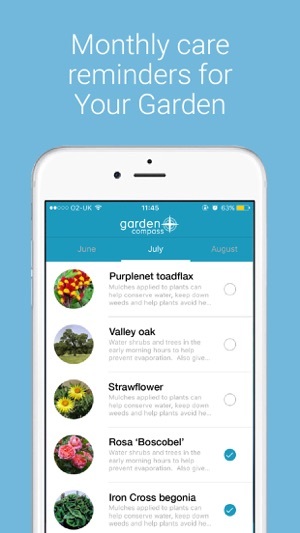 Garden Compass’ intuitive app gives your plants a voice. Our unique and personalized care calendar seamlessly ties together your plants and our experts through a simple and understandable platform. •	Experts at your fingertips? •	Don’t know the name of a plant or flower? •	Pest infestation or problem with your plants? •	What do you do with your garden and when? Let’s face it, we all turn to experts for advice when we need it. We have designed this app with some of the best experts in the world, and you, in mind. 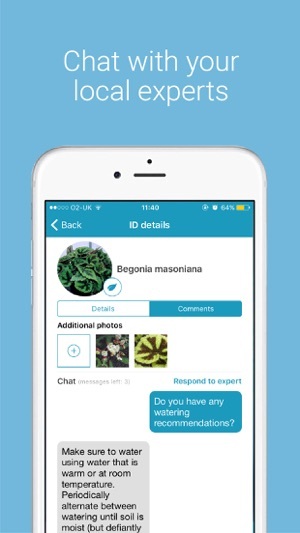 Hundreds of thousands of you have put your trust in us to help with your garden. Our dream is for everyone to experience plants in a completely new way. We have over 3 decades of experience under our belt, the cream of the crop when it comes to experts and unique and sophisticated technology. This technology puts our Global experts inside your plants! 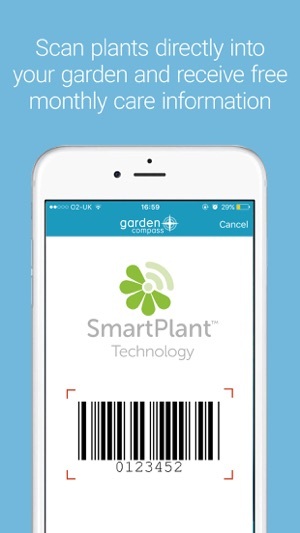 No matter where you live or what plants you have SmartPlant will simplify and streamline your plants' needs. Rolling out in retailers across the country in spring, just scan a barcode and your personal care instructions will be found in the app. We give you two photo submissions (credits) free when you download the app, then you receive an additional credit free every month. Your Digital Care Calendar comes with the ability to load 3 plants for FREE. You can buy additional credits as desired. 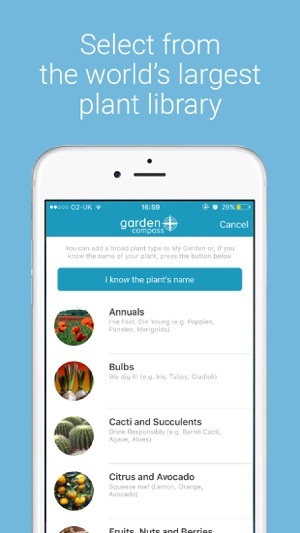 You can also become a premium member and unlock the full unlimited power of our app, digitizing your entire garden and giving you unique care information for each of your plants. Your plants will remind you what they need and when they need it. 1. Place your own plants in the "My Garden" section. 2. 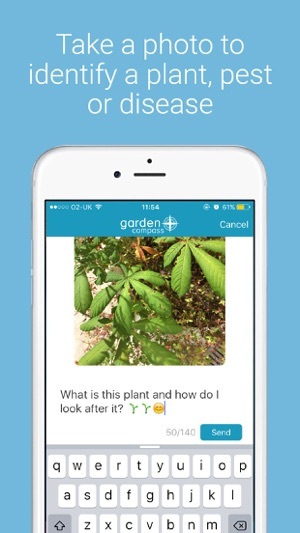 Press the Garden Compass leaf icon to add your plants to "My Garden"
3. Keep an eye out for our notifications or check your care calendar to see what we recommend. 4. Relax, your garden is safe with the horticultural druids. Price may vary by location. Subscriptions automatically renew unless auto-renew is turned off at least 24-hours before the end of the current period. Account will be charged for renewal within 24-hours prior to the end of the current period, and identify the cost of the renewal. Payment will be charged to iTunes Account at confirmation of purchase. You will not be able to cancel the subscription once activated. Subscriptions may be managed, and auto-renewal may be turned off, by going to the Account Settings after purchase. Any unused portion of a free trial period will be forfeited when the user purchases a subscription to that publication. Downloaded app specifically because I searched everywhere trying to identify this particular plant. Even my local nursery, one of the best around, was stumped. BUT....they did recommend this app! Downloaded, posted question with photo and within an hour someone correctly identified the mystery plant. VERY impressed. Hope I can return the favor to help someone else down the road. Oh and I didn't have to pay to get an answer like several other apps. Highly recommend. I love the concept of this app but here are the issues I have had so far: Took me 4 tries to set up an account, different choices of where I want to go in the app requires additional sign ins even if I select from your emails. This is frustrating. Once I sign in to the app I should not have to sign in again to go to another part of the app. I realize part of this may be a learning curve but right now I am very frustrated!! The sending of my plant and getting a response was the easy part. Also, how do I earn credits? Will I need them if I buy a premium membership? Thank you! We bought a farm and some livestock. Not knowing much about plants, I need a lot of help. This app provides it. Trying to decide what to keep in the gardens and the yard versus what to pull out has been difficult up until now. I'm cataloging all the weeds, garden plants, herbs, houseplants, and all the pasture contents. Thanks to Ron and Garden Compass, I have found toxic plants in the pasture that I need to remove. This app may have saved some animals. I am grateful, happy, and entertained.